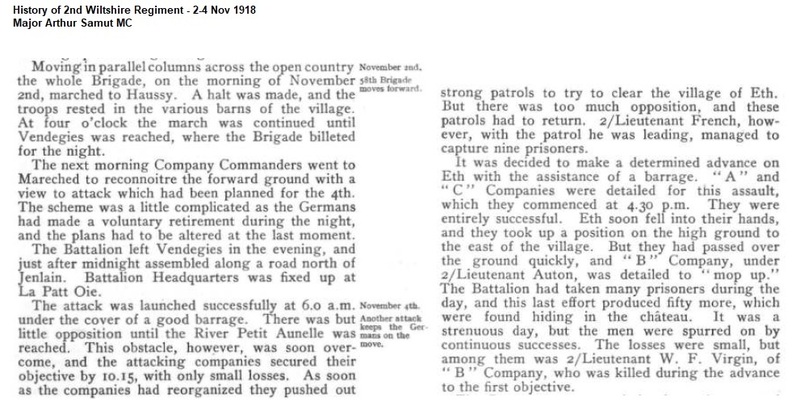 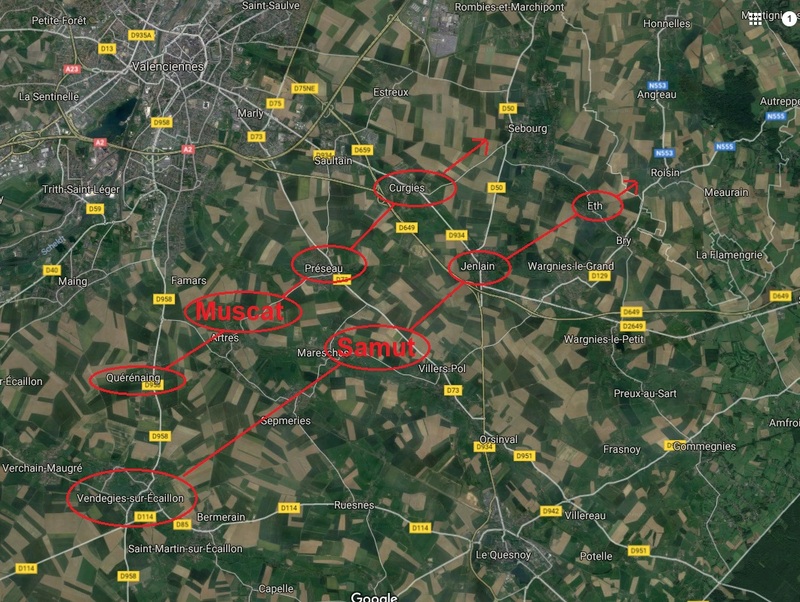 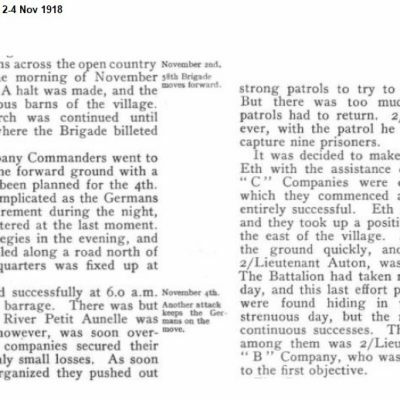 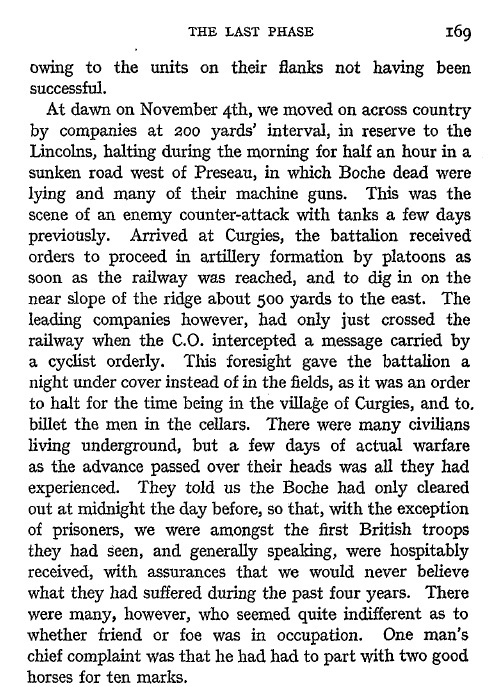 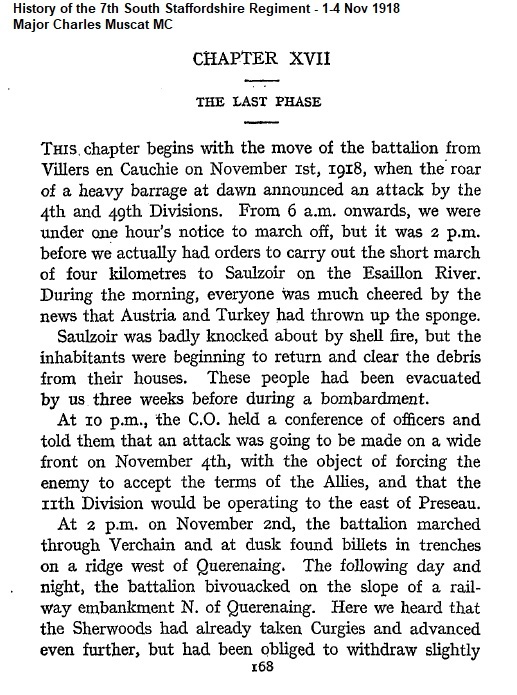 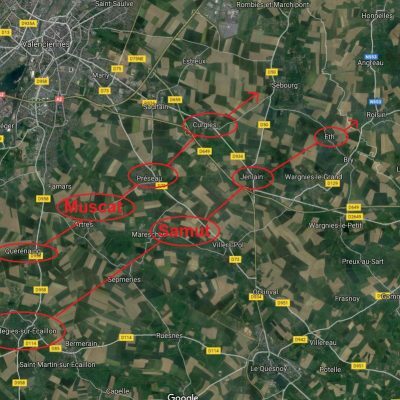 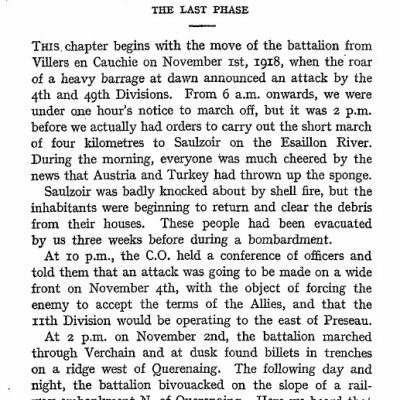 Start of the largely forgotten Battle of the Sambre, with 28 British and French Divisions attacking on a 30 mile front. 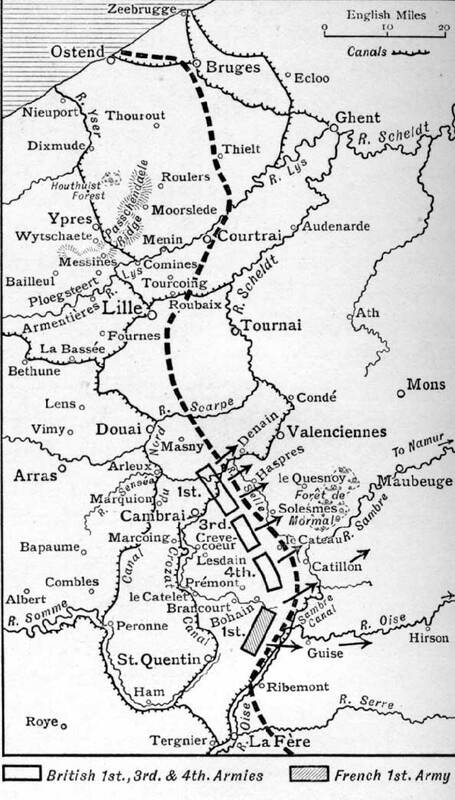 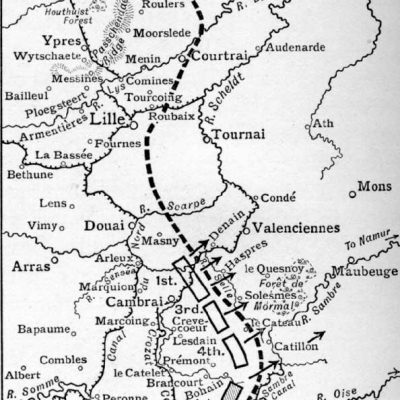 Major Charles Muscat , on the southernmost flank of the 1st Army, and Major Arthur Samut, on the northernmost flank of the 3rd Army, find themselves next to each other and advancing on parallel lines. 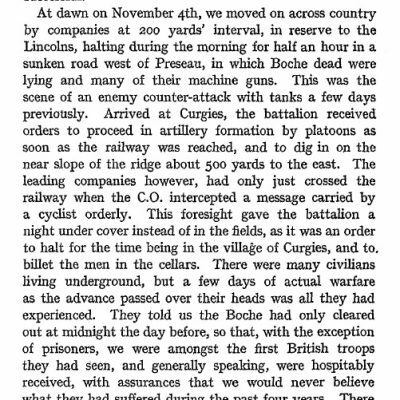 12 miles south of them , Wifred Owen, in 2nd Manchesters/4th Army, is killed while making the difficult crossing of the Sambre-Oise Canal.